The struggle between price and quality is a difficult one. Doesn’t everyone want to get something better than the price they paid for it? The biggest issue with being limited to a budget is being unable to find the best budget projector. You want something that has all the right features, but that often requires making some sacrifices. However, this is not always the case. In fact, there are some excellent projectors out there available for those on a budget. Read on and revel in in the fruits of our labor in finding the best projector under $200. 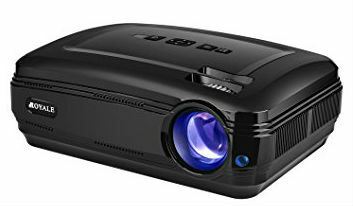 The CiBest GP90 LCD Projector is the best cheap projector and the best projector under two hundred dollars. It supports full 1080P HD for a crisp, clear picture. It also provides that big screen experience and supports image sizes of 32-in to 280-inch with a massive distance of 1.2 m to 8.5 m. Though, to change the image size, you’ll need to adjust the distance. Having a big screen experience at home is what really sells this projector. Imagine watching a movie with your family under the stars. Or, think about sinking 200+ hours into the newest Bioshock game without the strain on your eyes associated with starting at a screen all day. Ideal for TV and video game projections, everything you need is built into this projector. It offers a built-in HD decoder chip to make sure everything you project is in full HD. The projector also includes built-in stereo speakers and an amplifier chip. This projector is also practical. CiBest seems to understand that customers want to be able to use their project with all devices. So, they included dual USB, AV, dual HDMI, and VGA so you can connect your laptop, computer, any mobile device or your gaming console. Though, you’ll need a wireless HDMI adaptor to connect your iPad or phone. And there isn’t one included in the box. 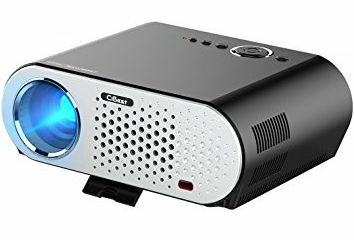 The CiBest GP90 is superior to other projectors at the price point. While other projectors support 1080P HD, their native resolutions are set at only 800x400. The native resolution of 1024x768, which is still not full 1080p, but it can easily project 720p. Additionally, it offers a contrast ration of 2000:1, which is far above the contrast ratio of 400:1 found in many other projectors at this price point. What is a Pico projector, you ask? 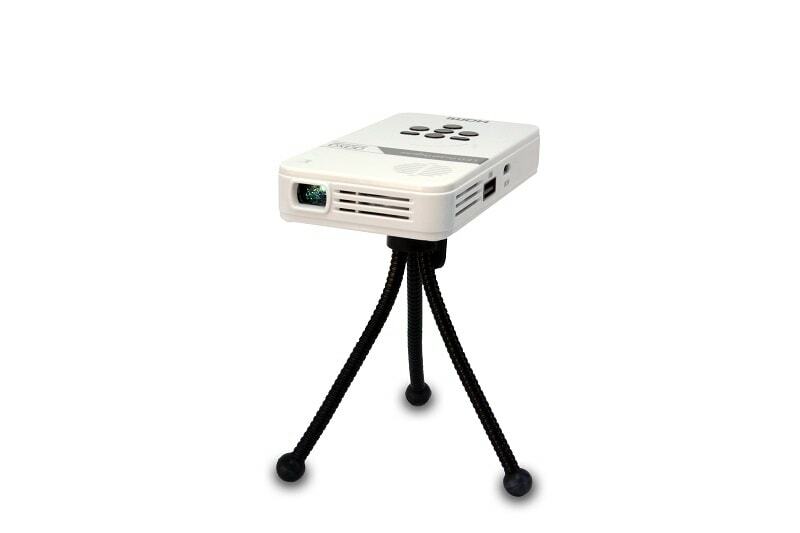 Pico projectors are a handheld projector. They take the technology found in full-size models and scale it down to fit into a device that fits in your pocket. 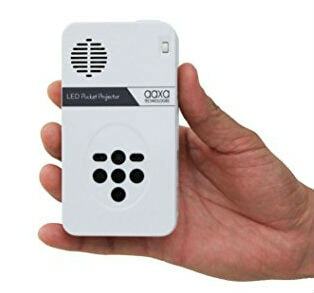 Pocket projectors are best used with mobile devices like phones and tablets. They’re ideal for projecting digital images on-the-go. They’re not designed for giving a presentation to your boss. But they are great for sharing photos on your phone with friends and family without having to play don’t-drop-the-iPhone with your relatives. A Pico projectors review would be remiss if it didn’t include the AAXA LED Pico Projector. The specs on this projector are ideal for the price. It includes vibrant color technology, HD (960x540) resolution, and ultra-bright 25 lumens. We like this model because you can project photos and videos with sound because includes built-in speakers. This model is also easy to set up. It’s compatible with your Mac or a PC. It also has USB Plug ‘n Play so that you can plug it in and go. The AAXA model comes with composite A/V connections, USB and Micros SD readers, and mini-HDMI. Though, if you want to use it with an iPhone 6, you’ll need an HDMI to mini HDMI cable and an HDMI to Apple lightning cable. We recommend this projector because it offers a great native resolution for the size and price of the device. While you shouldn’t use the device to play feature length films, it’s ideal for all those little moments like sharing photos with family or even more practical uses like decorating cakes. The Croyale projector offers the large screen experience without the price of a new, HD TV. It has a 1080P image projector with a native resolution of 1280 x 800 and a maximum resolution of 1920 x 1080, which is significantly better than its competitors. Other specs include 3200 lumens and a 3000:1 contrast ratio for clear, bright pictures wherever you are. One of the reasons the Croyale is the best projector for gaming is the hifi level stereo built-in speakers with built-in amplifier. Although it does not support Dolby sound, the speakers do have SRS sound, which is the best you can do at this price point and in sound generally. It’s also a good projector for gaming because it offers four projection methods. You can place it on the front or rear of the desk or on the front or rear of the ceiling. This is ideal because it means portability. You can pack it up and bring it to a friend’s house for a night out. The ZOOM button also makes travel easy. Push the button on the remote to automatically calibrate the best size picture for the screen. Though, you’ll have to supply your own cables. With easy setup and multiple ways to project, this projector is made for gamers who play not only at home but at friends’ homes or even at tournaments. It offers fantastic picture for the price point with high native resolution and high contrast. The Crenova XPE680 is the ideal projector for business presentations for one simple reason: the wireless HDMI adaptor connecting the projector to your tablet or smartphone. Now, the specs on it are lower than other projectors in this review. Its native resolution is 800 x 400 and the contrast ratio is 2,600. But if you’re looking for a business projector review, this is it. This projector is best used in darker rooms, so be sure to close the blinds during presentations. You’ll get a good picture if there is a little natural light in. But if you do use it for home cinema purposes, try to make sure the room is very dark. You’ll save a little money here by going with a projector that has less than stellar graphics, but if you’re looking for a sharp image you’ll still find it here. ​The Crenova XPE470 is a compact projector suitable for playing movies at home or on-the-go. With a projection size of 37” to 130”, it’s also a short throw device that makes it the best cheap projector under 100. This model is ideal for buyers who want to replace their TV or dabble in the world of projectors without spending a huge amount of money. And it’s a great starter projector because, despite the low price, it still offers a pleasant viewing experience. The resolution on the Crenova is 800 x 480. While that isn’t HD, it’s also better than standard and it gives you a taste of what you can upgrade to later on. Plus, it includes a 1200 lumen bulb when other projects of its size and price would use a 300-lumen bulb. So, you won’t sacrifice too much picture quality if it isn’t pitch black in the room. There are also plenty of connectivity options, so you’re not stuck only with an HDMI-only set. The only real disadvantage of this model is that it doesn’t offer full HD. 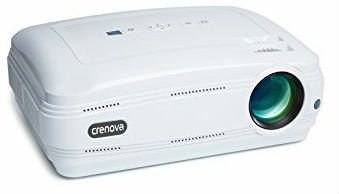 But there are projectors at double the price of the Crenova that don’t offer it either. You also can’t use the battery-only option on this projector simply because there isn’t one, so you will be tied to the wall. Overall, it’s a reasonable compromise for the price. While there are a few features, like resolution and battery, that would be nice to have, you’d need to scale up in price to get them. The bottom line is that it’s a great starter projector or even a permanent projector for those who aren’t fussed about full HD. There are a few basics that everyone should be familiar with when considering a projector. Aspect ratio is the term used to refer to the width and height of an image produced by a projector. It basically indicates what shape the image will be. For example, an aspect ratio where the width and height are close, such as 4:3, means that the image will be shaped like a square. An aspect ratio with a disparity between the width and height will be shaped like a rectangle. The most common aspect ratios found in projectors are 4:3, 16:10, and 16:9. Here is something important to note: projectors with an aspect ratio of 16:10 or 16:9 can easily display images with a 4:3 aspect ratio. But this doesn’t work the other way around. A projector’s brightness refers to how much light it can produce. Brightness is measured in ANSI lumens. Projector resolution refers to how many lines of image can be displayed on your screen. More lines mean higher resolution. Higher resolution produces greater picture quality. Most projectors will feature a fixed resolution. That means that despite what resolution media you are displaying, it will only be able to project it at its native resolution. If your projector’s native resolution is 800 x 400 (which is incredibly low), then you will not project images in 1920 x 1080, even if the image is formatted that way. Contrast ratio refers to the ratio of light reflected off a white image and a black image. It is what allows your eyes to see the difference between dark blue and navy. If a contrast ratio is 1,000:1, then the white image is 1,000 times bright than the black one. 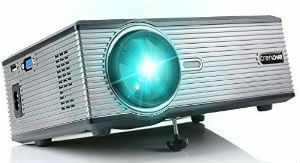 Projectors can come in one of many formats that determine the size and shape of the screen. An AV screen will come in a square shape with a height by width measurement. An NTSC screen is defined as a rectangle in 4:3. It’s designed specifically for video projectors. HDTV format offers a 16:9 format designed for HD projection. Widescreen is used for letter-box videos. There is also a 16:10 format designed specifically for presenting from a laptop computer. Your projector can replace a high-end TV, but you won’t get the best image straight from the box. If you’ve gone out and spent good money on a project, why not have it professional calibrated? First, look for an ISF or THX certified calibrator. They will set up your machine so that you get the best picture from your machine in terms of color, sharpness, contrast, and brightness. The difference between a professionally calibrated projector and using pre-installed settings is the difference between the sun rising or it deciding to call in sick for the day. Second, periodically clean the lens on your projector using isopropyl alcohol (99.7%). Put some on a microfiber cloth – not on the are being cleaned – to clean off optic parts that you can reach. Though, be sure to consult the manual before performing any kind of maintenance to avoid accidentally damaging the projector or voiding your warranty. Finally, if you notice the image dimming after 1,000 hours of use, consider replacing the bulb. Although your bulb may be rated for thousands of hours, many bulbs begin to dim before they reach their capacity. A projector will either be a short throw or long throw projector. You’ll be able to tell which often by the two letters found attached to the model number – either ST or LT.
Every projector is categorized by the distance required to project a 100 in image. Long lens machines, or long throw machines, may need 6 feet of space between the screen and project to meet 100%. Finding six feet of space often requires a large size room. So, long-throw projects aren’t ideal for home cinemas. However, they are good for using in large halls or in exhibitions. A short throw projector can create a 100in image with less space. Typically, they require 4 feet or less. Short throw projectors are useful for houses where even when you have space, there is other stuff and other people in the way. Now, there are also ultra-short throw projectors available. These can throw a 100in image from only about 15 inches away from the screen. 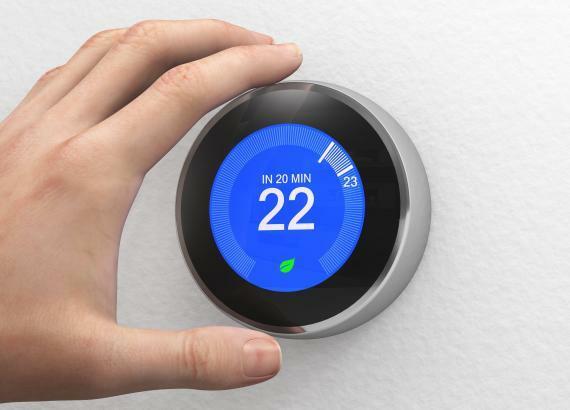 Most of these models find a home in office spaces because they’re ideal for meeting rooms. But if you’re in need of a projector and you can’t accommodate 4 feet of space, then this model is ideal. Believing that you can use any flat, blank surface as a projection screen is a common mistake. There are three elements in choosing a projector screen. Basically, you’re going to be looking for size, style, and shape. The size of the screen you’re after depends on what you want to use it for. A 100-120-inch diagonal screen is a popular size because it has the big screen feel without taking up too much space or overwhelming your projector. Remember, the screen will need to fit – both length and width – in the room you want to use it in. In terms of style, you’ve got two choices: fixed and retractable. Fixed screens are attached to a solid frame and remain on the wall 24/7. Retractable screens are housed on a roller system and can be broken down and transported. Of course, there are several different styles within those two categories, but they’re the two general types of screens. The shape of the screen also depends on how you want to use it. If you’re buying a projector to watch TV, a 16 x 9 screen suits the purpose. 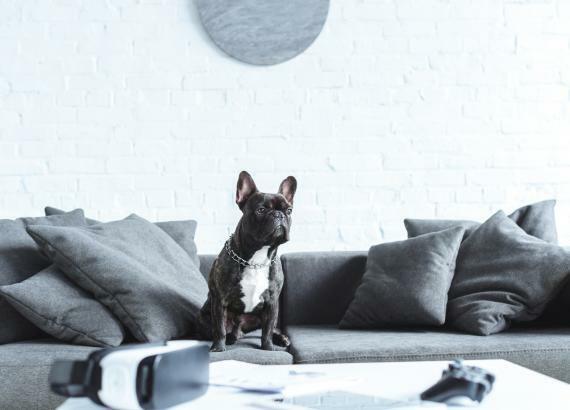 A quality projector serves many purposes, but only if you find the right one for your needs. While all the projectors listed here are great investments for their purpose, there is a clear overall winner. The Croyale project, listed as the best gaming projector, offers unbeatable value for the price. It has a great native resolution at 1280 x 800, which is much better than some of its competitors, even on this list. The high contrast ratio and 3200 lumens bulb also help its case. Overall, the Croyale projector offers the most you can get for your money at this price point, and it’s not just for gamers – it’s easy to transport size and easy-to-mount capacity makes it multi-purpose. Keep it clean and calibrate it to your preferences and you’ve got the ideal entertainment set-up right at your fingertips for a fraction of the price of a new TV.